The 14th Zagreb Snowflakes Trophy has ended in Croatia and 31 teams went home. Everyone skated with heart and soul and around 2500 people came to the ice rink Dom Sportova to support them! 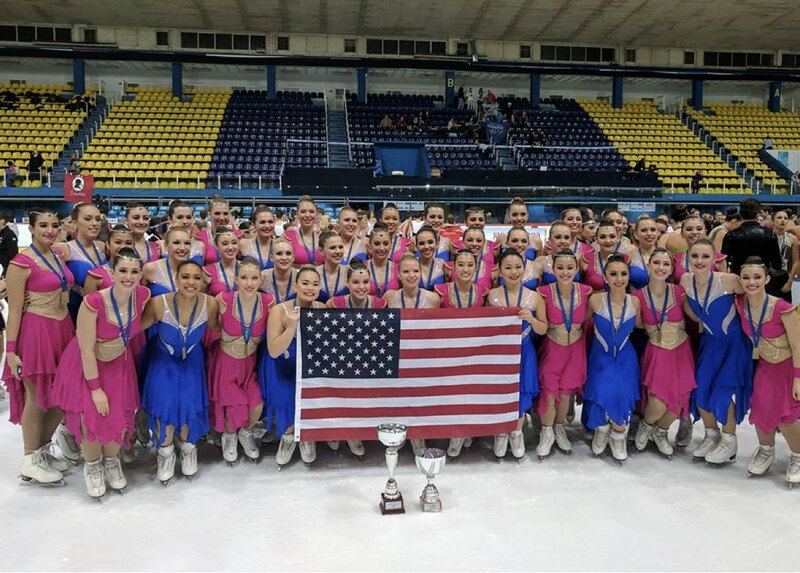 In the Junior and Senior categories, the gold medal was won by two USA teams - Starlights and Skyliners. On the second place in Junior was Team Convivium from Sweden who skated the best free program and managed to get the silver medal with 123,60 points. Unfortunately, Team Berlin Juniors lost their second place after the free program, so they ended up third with 121,89 points. Iceskateers Elite from Australia finished at the 4th position, followed by Ladybirds and Shining Blades from Italy, and Zagreb Snowflakes Junior representing Croatia. The rankings for the second and the third place in Seniors stayed the same as the were after the short program. Team Berlin won the silver medal with 152,53 points and Team Passion from Hungary won the bronze with 130,57 points. Zagreb Snowflakes (CRO) finished 4th, Ice Storm from Australia took the 5th place and the Austrian Sweet Mozart took the 6th place in Zagreb. In the Mixed Age category, the first place came to the German Team Starlets. Sport Magic Club and Black Rose, two teams from Hungary, completed the podium. Shining Blades from Italy took the 4th place and Shining Blades (ITA) finished 5th. Tyrol Diamonds and Zagreb Snowflakes completed the rankings. By Juveniles, the victory went to the Polish Sport Magic Club. At the Basic Novice level, Shining Blades won the competition and in the Advanced Novice division, Team Berlin from Germany did the best score. Hello, my name is Astrid I am 24 years old and in synchro skating since forever - lets say around 15 years (which sounds forever to me). Around the age of 7 my father took me on Croatian version of ”Disney on ice” and since then skating is huge part of my life. Someone would say it gets boring through all this years but the truth is the things you love that much could never get boring. I am student on Faculty of political science in Zagreb (capital city of Croatia) specialising in journalism. In my free time I love to read books (more book person then movie one) and also travel/pasta/dog lover. On the side with that I am just like every other girl who has full closet of shoes and always find reason to buy new one, because life without shoes is boring.